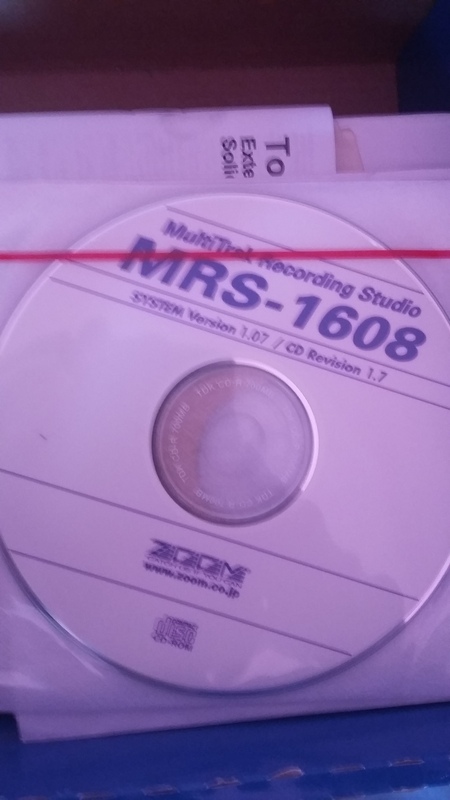 MRS-1608, Digital Multrack-studio from Zoom in the MRS series. I'm a UK guitarist of many years standing I write, play and sing. My last band was a left leaning folk rock band called Tricks Upon Travellers. Recorded 4 CDs and always got good critical reviews but no financial success. Highpoint was a Glastonbury gig in 2000. Currently I'm writing songs for a "rites of passage" film about 16 year olds and heavy rock! Totally self taught I have no style that I can identify and I have far too many influences to be healthy! I bought the Zoom at a music show in Brighton. I paid a little over £500 for it. 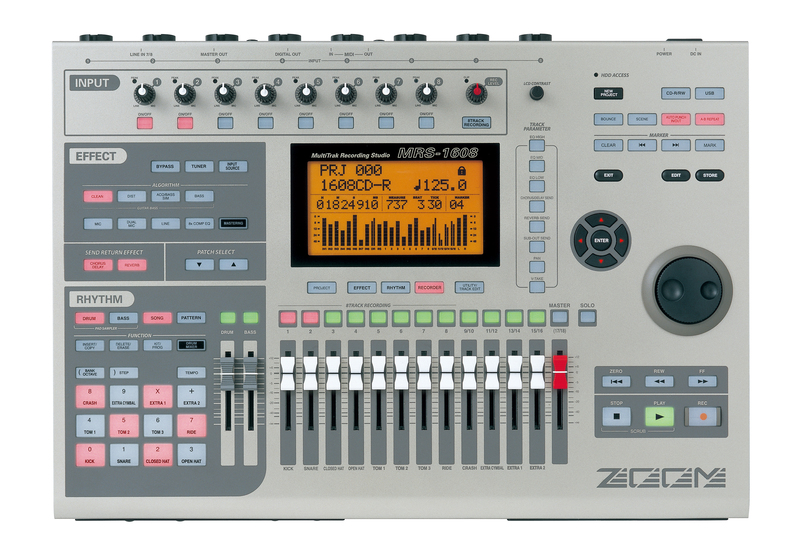 I had been looking at multi tracks recorders for some time and the Zoom was a good price, had a reasonable size hard disk and was very flexible. It also had a built in drum machine and bass unit and I liked the ergonomics of the unit. The ergonomics are very good with controls easy to access and intuitive to use. Basic recording is very straightforward but it also has some very sophisticated features. Sampling, loops, and a whole range of effects just for starters. A comprehensive (perhaps too much) range of drum loops are supplied and some great drum sounds are included. Although it is sold as a 16 track recorder it is really only 12 useable tracks. 8 mono and 4 stereo. The stereo tracks can't be used as discreet tracks unfortunately and the nearest you can get to treating them separately is to hard pan each channel of a stereo pair although you can't separately record each channel. Cut and pasting parts of a track is bit involved and difficult to get accurately as there is no "waveform" type display and it's necessary to chose start and end points using bar timings. It's difficult to see if recording levels are going "into the red" as the level indicators aren't very clear. The USB interface has to be purchased separately and although you don't necessarily need it I've found it invaluable for easy backups. The unit is very well made and the recording quality is excellent. The effects are very good and cover most of my needs. Buttons are of a good size and are easy to use. The display is good but see comment above about the level indicators. Would I recommend the unit? A qualified yes. For the price it's an excellent piece of kit. Easy to use and produce good results very quickly. I have my reservations about the 12/16 track issue and a bit of forward planning is necessary to make full use of the available tracks. I'd also like to see a GM sound library but I can live without it. And whilst I'm griping it's annoying that only one chorus and one reverb effect can be used at mixdown. It would have been nice to use more.